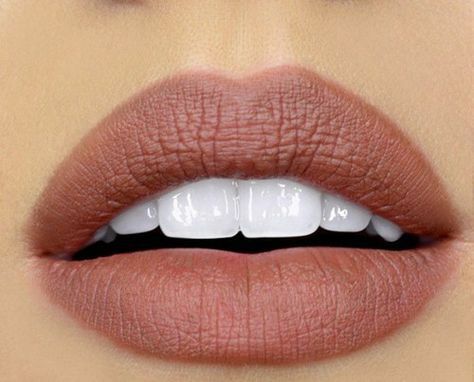 The ageing process is one that we are all trying to slow down and with the smile being the first thing people notice when they meet you it is important you care for you lips, teeth and gums correctly to ensure a good first impression. Whether it be for a top job interview, a romantic date or meeting new Mum’s at the school gate. A healthy white smile will help to portray happiness, wealth and youth. People who smile more are perceived as younger so to ensure you are confident in your smile follow these top tips as recommended by Megan Fairhall #LiveToSmile, Dental Hygienist and Therapist at Harley Street Dental Clinic in London. Cause: Teeth discolour over time due to our lifestyle habits, red wine, coffee, tea’s and cigarettes. Treatment: Dental teeth whitening – options are either home whitening trays or in office laser whitening. Both are effective, safe and get long lasting results. Prevention: Reduce your consumption of foods and drinks that cause staining. Quit the cigarettes. Ensure to have a regular clean and polish with a Dental Hygienist as this will help to maintain the colour of your teeth removing surface stains, a whitening toothpaste can also aid with this but note will not change the actual colour of your teeth. Cause: Tooth decay or gum disease. Prevention: Reduce your sugar/acid intake. Attend regular hygiene appointments every three-six months. Ensure good home oral hygiene – brushing twice a day with an electric toothbrush and cleaning in-between the teeth daily with floss and/or interdental brushes. Also stopping smoking as this reduces the blood supply to the gums and impairs healing after hygiene treatments. Cause: Tooth grinding, acid erosion and over zealous tooth brushing. Treatment: Veneers and/or white fillings. Prevention: Wear a mouth guard at night to protect the teeth when clenching or grinding, this can be custom made by your Dentist/Therapist. Drink any carbonated beverages through a straw and ensure not to “swill” around you mouth, do not toothbrush for up to an hour after eating or drinking anything acidic as the enamel is softened at this time and therefore, if brushed it is more easily worn. Use an electric toothbrush with a pressure sensor to prevent you from over brushing. Brush for two minutes, twice per day – any more than this is classed as too much and may cause wear on the enamel/gums. Cause: Volume of the lips decrease due to a reduction in collagen production over time. Prevention: Stay hydrated by drinking the recommended amount of two litres of water per day. Always use a SPF moisturiser/lip balm to protect the lips from sun damage. Finally stop smoking to help reduce wrinkle formation around the lips. Cause: Our teeth can move over time causing over crowding – even if you’ve had orthodontic treatments previously. The teeth can naturally drift forward, this can also be worsened when/if wisdom teeth decide to erupt. Prevention: Wear a retainer (fixed or removable ones are available). For more information or a free consultation contact Megan Fairhall #LiveToSmile at the Harley Street Dental Clinic, London.